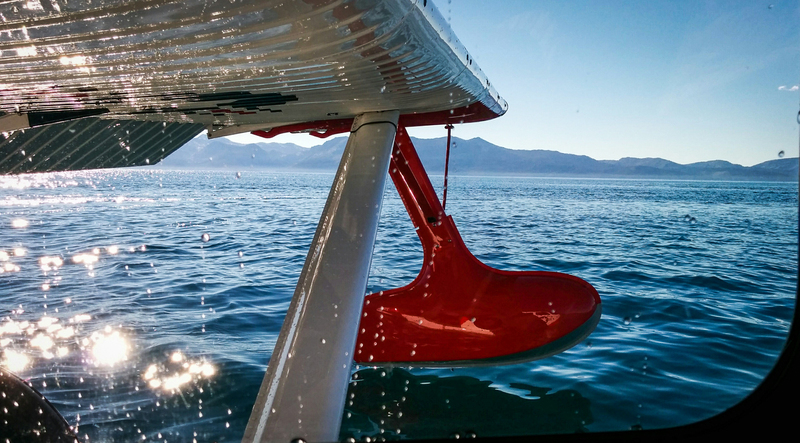 Talk about arriving in style… We made a splash in Lake Tahoe — literally, in a seaplane — on October 28, 2014, followed by a picnic lunch at Nevada Beach with Seabee pilots Pete and Lien Norman. The above photo was taken from the rear seat of the Seabee Warbird with my Google Nexus 5. I hope you enjoyed this shot of the week! Check back next week or subscribe on the right for more photos and videos from our travels. This post was handcrafted for you during our travels in Lake Tahoe.